One of the biggest barriers for adopters of electric vehicles is accessibility to charging facilities. This is down to the infrastructure of the UK – particularly in built-up areas where many people lack access to a garage or private driveway. The irony is that electric cars are best used in urban areas for short trips – but lack of charging facilities prevents this. To address this growing problem, a grant has been created to give people the chance to buy an electric car and charge it on their own street. The ‘On-street Residential Chargepoint Scheme’ is a £2.5million grant that allows you to apply for a charge point on your street. In order to access the scheme, you will need to make an application through your local council. So, How Do You Apply for a Free Charging Point? The application needs to be made by the local authority, so a resident looking for a charging point will need to put a case forward to their local authority. The On-Street Residential Chargepoint Scheme provides a grant of up to £7,500 to support installation of the charging point. The Energy Saving Trust Scheme is supporting the scheme and is on hand to provide advice and support the installation of the charger. The scheme will provide up to £100,000 of funding to cover the costs of each application, as installing a charging point isn’t as simple as it seems. The local authority must also agree to provide data to the On-Street Residential Chargepoint Scheme on usage. If the application is approved, a new charging point for either one or two cars will be installed. This also includes a dedicated bay for each EV, so no petrol car will be allowed to park there. These charging points will be for public use, so whilst a resident may have put forward an application, they will not have sole use and access. 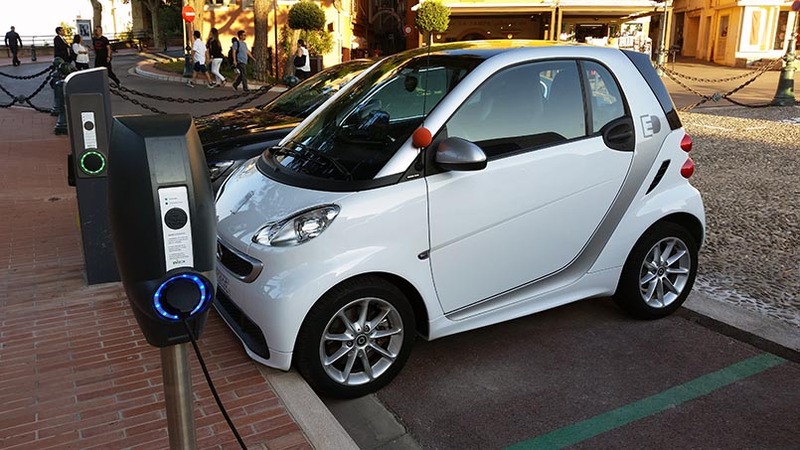 Local authorities will also consider the demand of the area for charging points, as residential areas with shops and local amenities may see more use than if the application is made favouring one household. Residents looking for charging points to be installed near their homes will need to move quickly as the funding is only available until March 2018. It’s not just lack of private space to charge an electric car that put people off, it’s also retail costs and its running costs. Depending on the make and model of car, an EV owner will have to pay a monthly fee for the battery. Insurance also tends to cost more for EVs and hybrids, so whilst many people would happily swap to an electric car, many are put off by the high running costs. The higher premiums are due to the value of the car, as well as a lack of skilled mechanics who can repair EVs. With the proposed ban on petrol and diesel vehicles to come into effect in 2040, electric cars and charging points will need to become more accessible to all.